Please feel free to list patents or patent applications that you would like to sell or lease. T his is a free service, there is no charge for listing patents on this page. 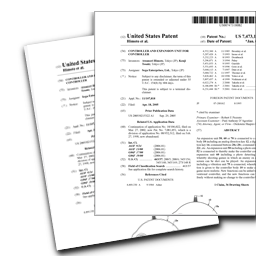 If you are interested in buying or leasing a patent on this page, please be sure to double check that the person attempting to sell the patent is authorized to sell the patent. We have not screened or reviewed the contents of this page, or the claims made by the sellers. Use the search tool below to help you find patents with certain keywords, or in different fields. (e.g., energy, chemical, etc.) Click the patent number to view the patent. Before purchasing or leasing a patent or patent application, check into the ownership of the patent carefully. By clicking submit, you assert that the information you are entering is true, to the best of your knowledge, and that you are authorized to list the patent you entered above for sale or lease. We reserve the right to take corrective action if false information or misleading information is entered via this service. Disclaimer: Although we attempt to provide accurate and up-to-date information, we cannot verify all information entered via this site is true. Please review all information carefully before making any purchases.